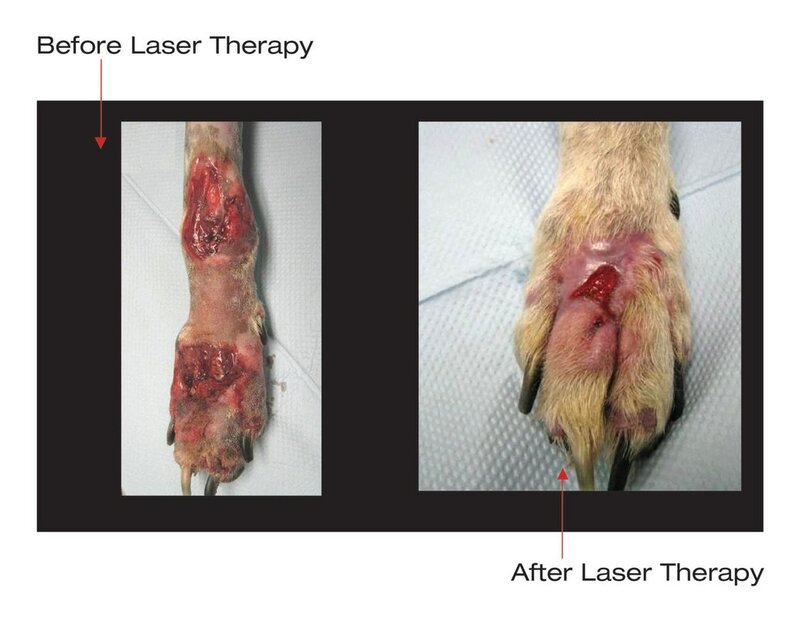 Your pet may have any number of reasons to consider laser therapy. Most owners are choosing this therapy to reduce pain and inflammation in their pet's daily life ORLite to help speed up the healing process from an injury or surgery. Puppies and kittens can even experience the benefits of laser therapy during a spay and neuter procedure. The laser will shorten the healing process drastically. ​Older dogs with arthritic hips or other joints, can benefit from laser therapy, as the laser can reduce inflammation in and around the joint and thus alleviate pain for the animal. Patients with ear infections or mouth pain can find relief with laser therapy as well. The possibilities are endless with this Companion Therapy class IV heat laser made by LiteCure. Our Doctor and staff are ready to show you all that it can do! Call us today to evaluate your pet and create a custom treatment plan and quote for your patient. In less than 4 months time, these results were achieved for this patient. 5 visits for laser therapy treatment helped improve this severe case of dermatitis and bring this patient complete skin relief. 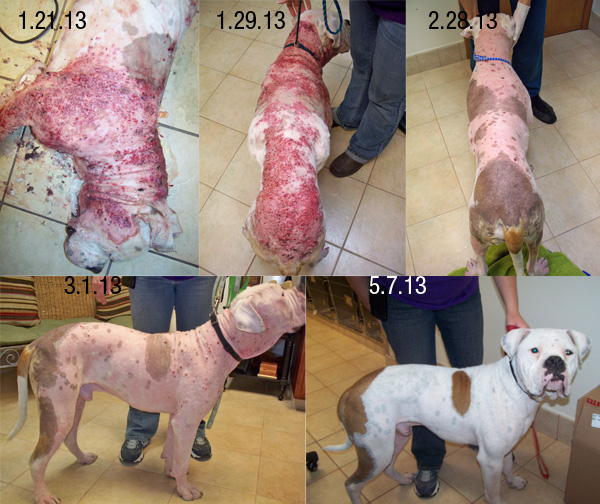 Speeding up the healing process helps reduce stress on the pet and improves their quality of life drastically.